1. 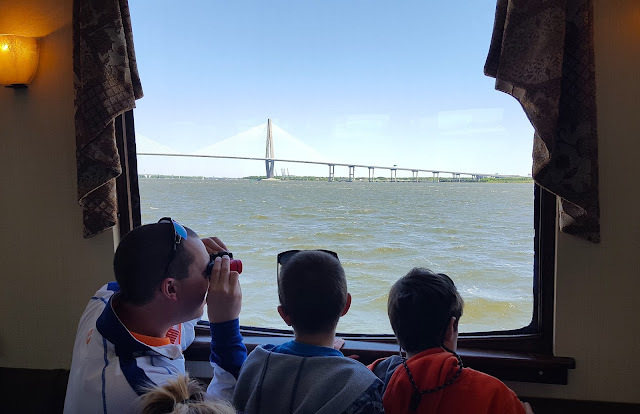 Fort Sumter: The boat ride itself was a blast for the kids. They loved standing outside and getting blown over by the wind. This park has a great Junior Ranger program, and the kids ran from sign to sign filling out their packets. They learned a lot, and the views are fantastic! 2. City Market: We initially planned a quick walk through the market after grabbing a slice of pizza and on our way to free candy samples at Charleston Candy Kitchen (pralines - yum! ), but the kids loved it so much that we spent nearly an hour there. They loved all the different vendors, especially the ones with puzzles, stuffed animals, and tee shirts. 3. Waterfront Park: After our free candy, we took a walk over to Vendue Range to check out the water. The Park has bench swings on the boardwalk and two fountains that kids can play in. It was a bit cooler, so the kids didn't run through the bigger fountain, but they loved wading in the Pineapple Fountain. 4. 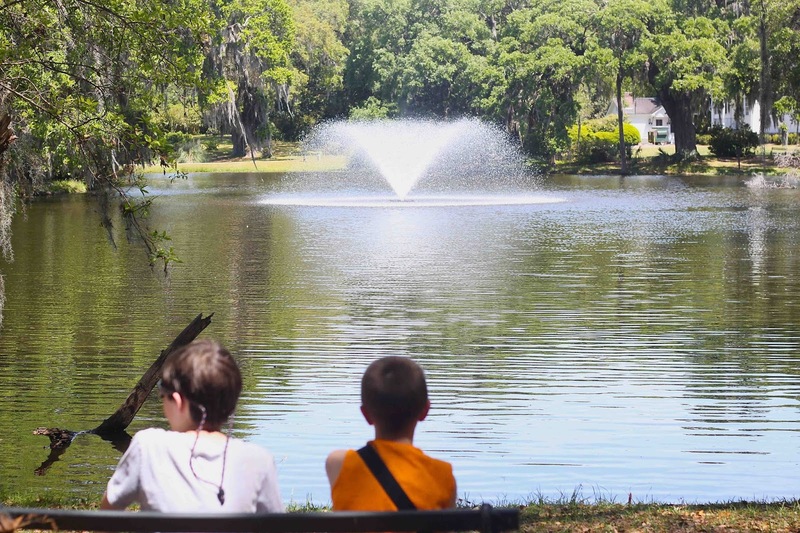 Charles Towne Landing: Click here to check out my full post on the Landing, but for the kids, the best parts were the museum (Crazy, right? It's interactive, concise, and colorful - perfect for them. ), Animal Forest Trail, Adventure ship, and gift shop! 5. Eat! While these kids were great sports and loved all the history and experiences, the one thing they are not adventurous with is food. 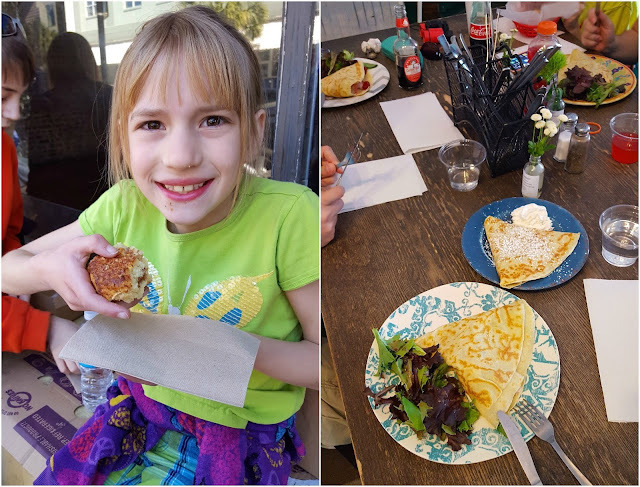 We wanted to bring Mike's sister and cousin to places with great Charleston fare, but when the kids tend to stick to hot dogs, grilled cheese, and the occasional chicken finger. 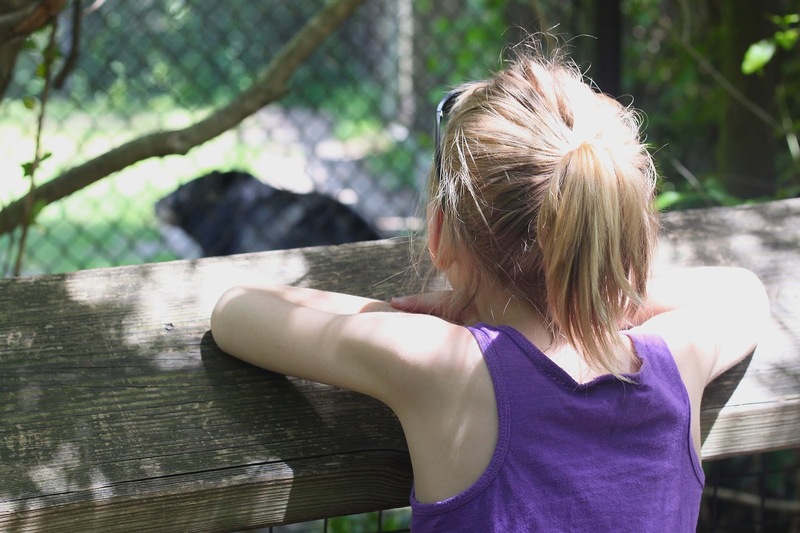 Luckily, we found a good number of kid-friendly places: Sesame Burgers, Five Loaves Cafe, Queen Street Grocery, Callie's Hot Little Biscuit, Waffle House, and Poe's Tavern. And just because, here are five honorable mention spots that we didn't make it to this time, but are definitely on the to-do list for the next trip: South Carolina Aquarium, Magnolia Plantation, Boone Hall Plantation, Children's Museum of the Lowcountry, and Wild Blue Ropes. Charleston is such an awesome city! I'm glad there are so many kid-friendly things to do, too! I love that you are so close with Mike's family! That's wonderful!! 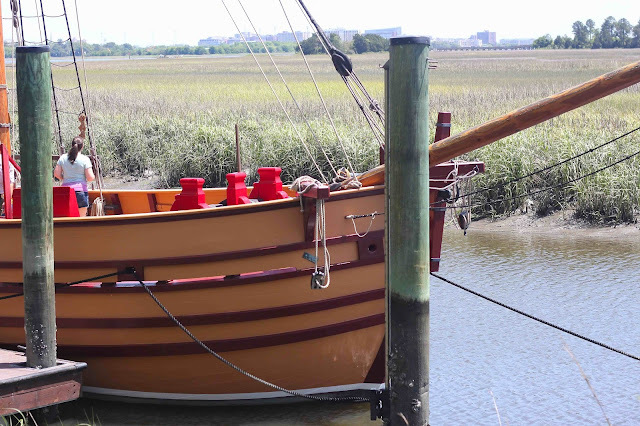 Ok, you sold me on Charleston...I'm packing! ;) Fantastic post, Meg!! 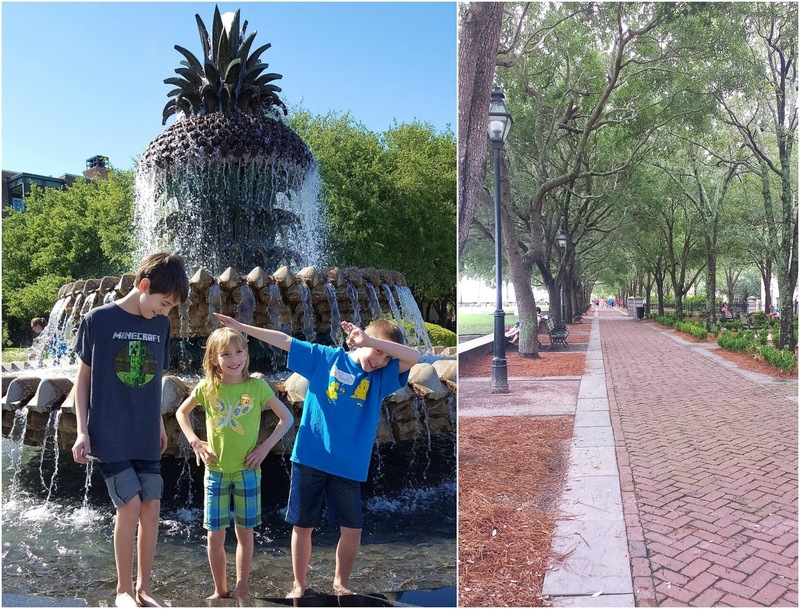 Thanks for sharing all the family fun and charm of your city! Love this post! 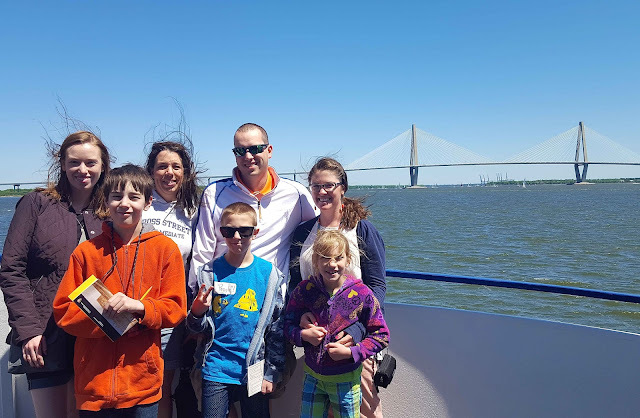 We usually go to Charleston for a day when we go to Hilton Head, but it would be fun to bring some of our nieces and nephews with us, since we're usually all down there together. So much fun in one trip! I've heard amazing things about Charles Town Landing---isn't it so fun playing host(ess) in such a fun city?! 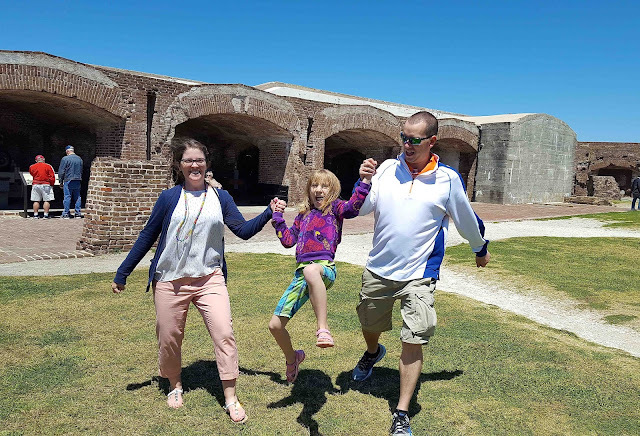 I've heard awesome things about Fort Sumter! Looks like you all had tons of fun! Enjoy the family visit - I hope you guys have the best time! How fun! I would totally do all of these activities, kids or no kids lol! I've always wanted to see that pineapple fountain and of course eat all the amazing food that I hear Charleston has to offer. Hopefully I'll make it there soon! The children's museum is so cute! We went last week. I've been meaning to check out Charles Towne Landing forever now! Such a great city with lots to do. Hope you had a great time with family! We enjoyed visiting Charleston, 2 years ago. I would love to return. My blog is a Kindergartener. My Gas Bubble Is Gone!